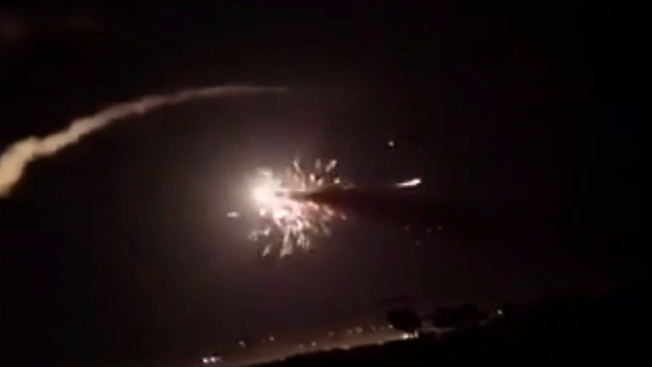 This frame grab from a video provided by the Syrian official news agency SANA shows missiles flying into the sky near Damascus, Syria, Dec. 25, 2018. The television, quoting an unnamed military official, identified the warplanes as Israeli. Lebanon's the state-run National News Agency earlier reported that Israeli warplanes were flying at low altitude over parts of southern Lebanon.